I went to Dominique Ansel Bakery at 9:00 in the morning and didn’t get a Cronut. I wasn’t coming for a Cronut though. I don’t have the patience to wait in lines. 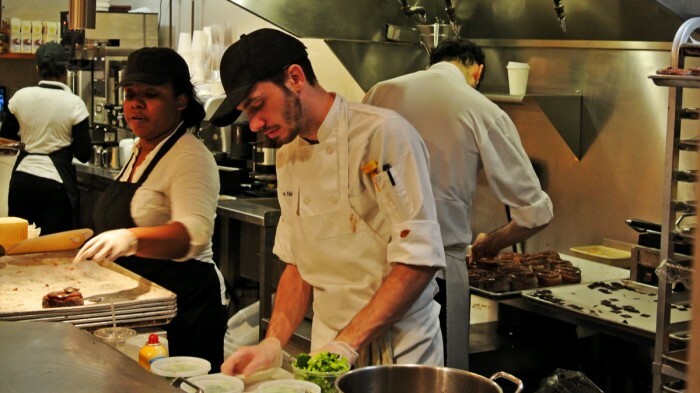 I don’t think this place needs much of an introduction after the absolute fervor that swept across New York, the nation, and the world over the past year with the Cronut craze. 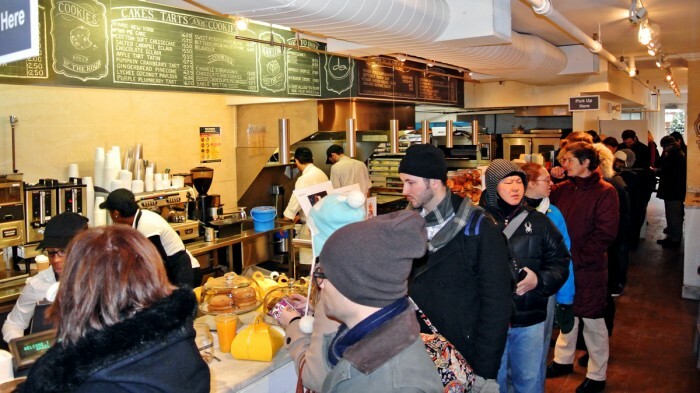 What many people might not know or perhaps will continue to ignore is the fact that there are many other items served at this bakery just as worthy of your attention and without the crazy lines. On this occasion, I was up early enough in the morning to need breakfast. 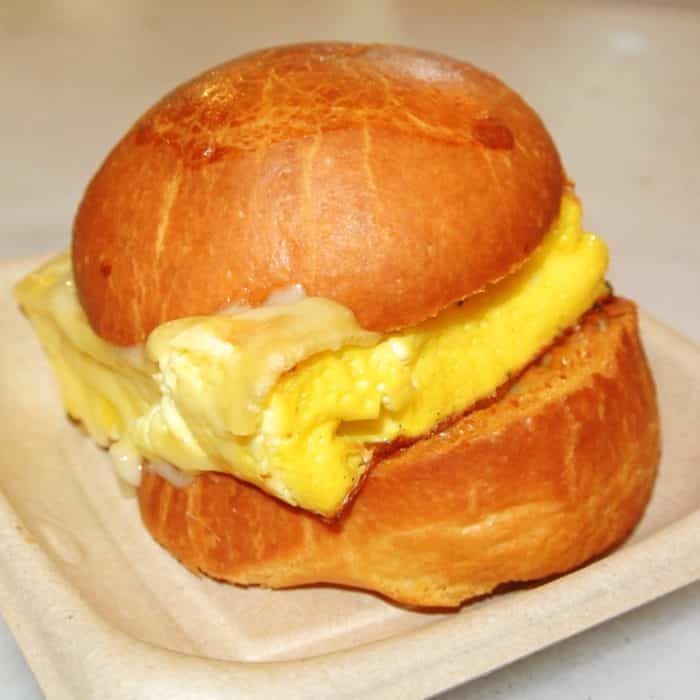 After deciding that I was in the mood for eggs, I remembered that the famed Cronut purveyor Dominique Ansel also serves a savory, breakfast-only dish called The Perfect Little Egg Sandwich that I had been meaning to try. I arrived at Dominique Ansel and chuckled to myself at the sight of the Cronut cronies waiting and shivering in the cold halfway down the block. I walked right into the shop, headed straight to the register and placed my order. 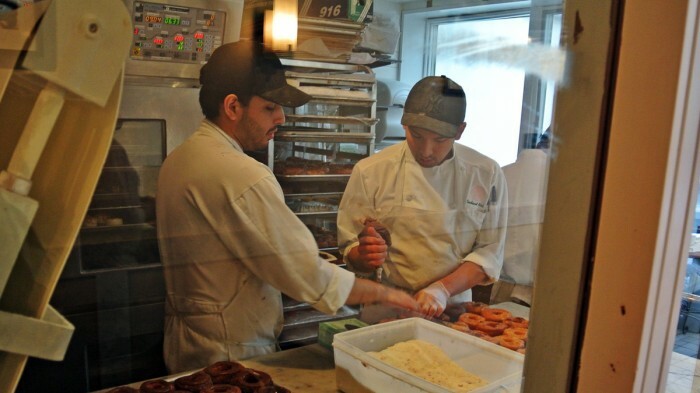 While I waited for my food to be prepared, I took the chance to wander around the shop and check out the many bakers including Dominique Ansel himself feverishly prepping Cronuts. 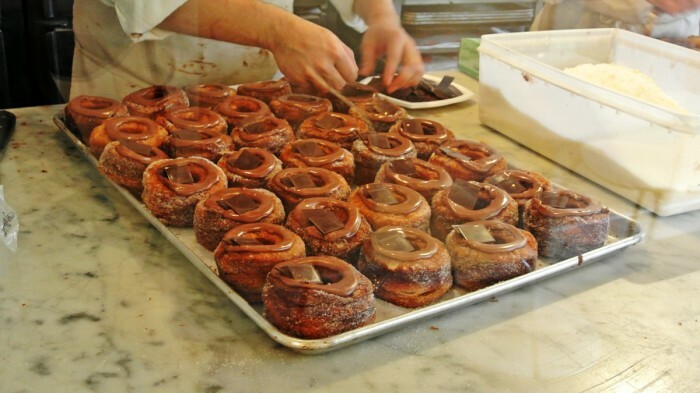 Soon, my food was ready and I grabbed a seat in the back of the bakery so that I could eat while watching the baker minions squeeze filling into sheets of Cronuts. I opened up the container to find an incredibly geometric, rectangular, thick hunk of fluffy steamed egg stuffed into flaky housemade brioche bread, draped with a sliver of melty Gruyere, and pocked with shallots and chives. The egg patty is very light and airy with an almost creamy texture to its interior and measured about one inch by three inches by three inches. The brioche bread is very flaky and has a rich, buttery quality that works so well here. 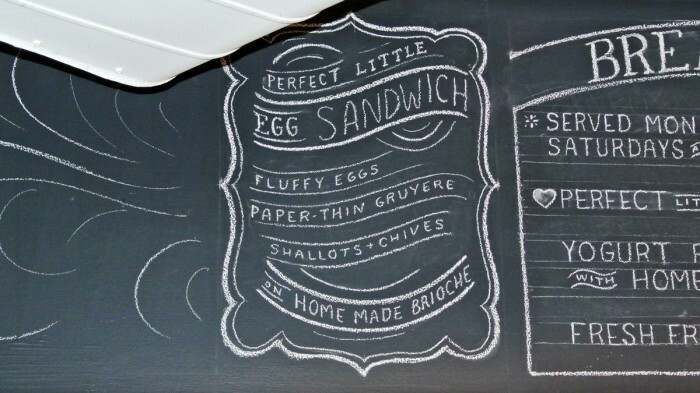 In a word, you could say this egg sandwich is perfect. Maybe too perfect for its own good. Flavorwise, the whole package is pretty mild, which I think could easily be kicked up a notch with a bit of seasoning, but it is beautiful in its simplicity. For the record, I have had a Cronut before. It’s quite tasty, but it’s not something I’d wait in line longer than ten minutes for. 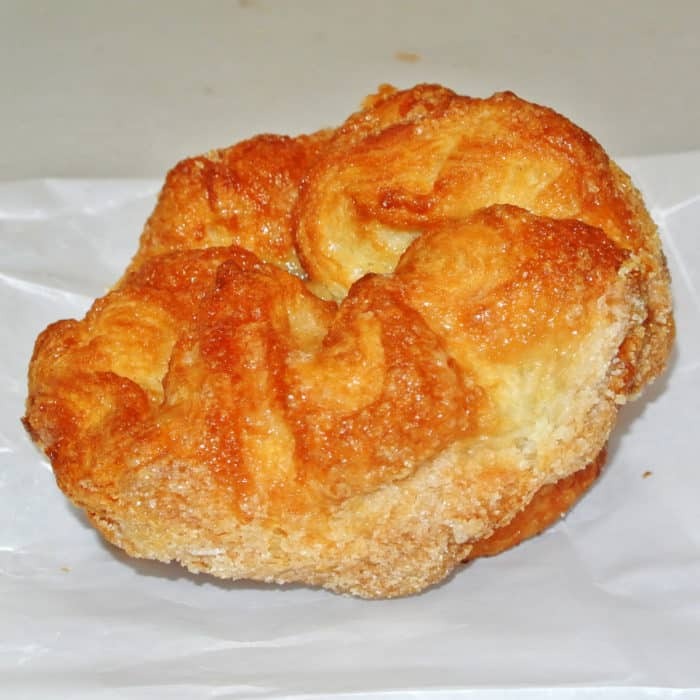 If you’re coming to Dominique Ansel Bakery, I’ll assume you’re coming for the sweets so let me instead recommend the DKA which stands for “Dominique’s Kouign Amann”. It’s a sort of hybrid between a muffin and croissant with a flaky layered interior and a crispy caramelized crystalline crust. 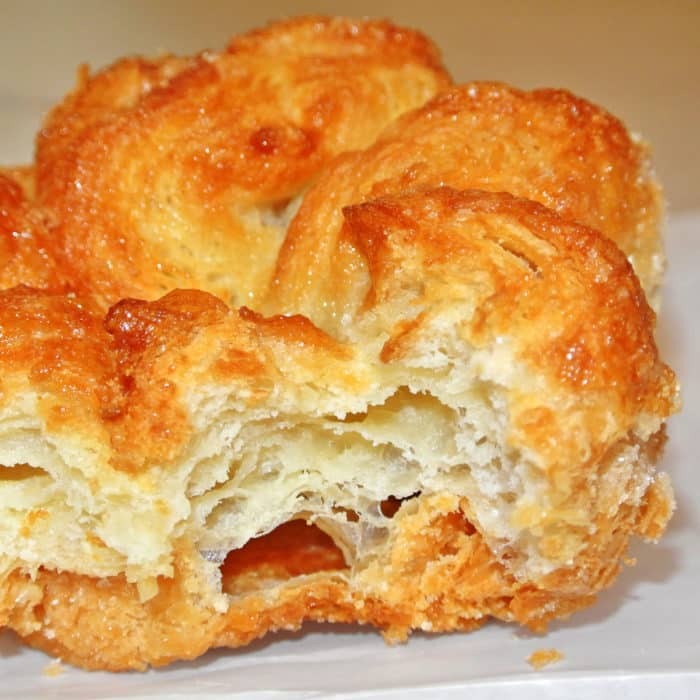 When you bite in, you’ll experience a crunch as you pass through the sugared outer layer, a lightness as you press the fluffy, flaky layers together with your tongue, and a creaminess as those layers squish together in your mouth. It’s pretty incredible, and dare I say, even better than the Cronut. 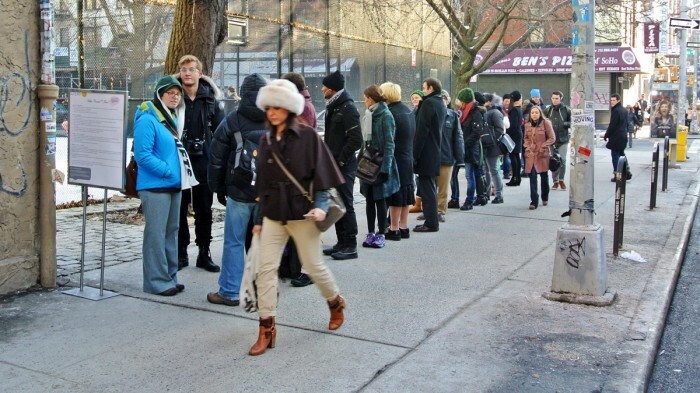 So, head over to Dominique Ansel Bakery and skip the line. Have yourself a Perfect Little Egg Sandwich or a DKA and be happy you did. Now, I want to hear from you. 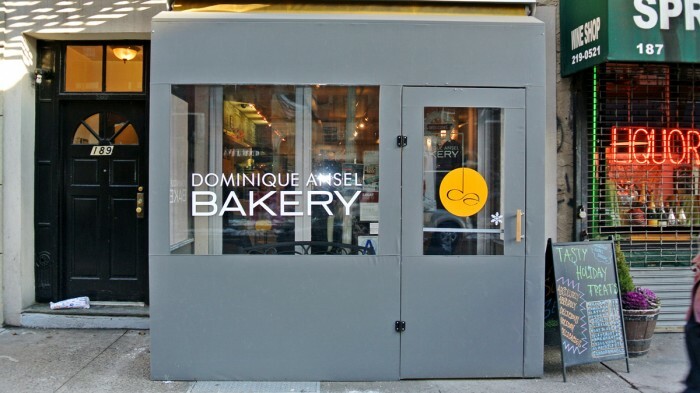 Got another Dominque Ansel pastry I need to check out? Let me know in the comments below. I go every month to try the cronut and one underrated item, in my opinion, is the seasonal gingerbread chocolate pinecone. Give it a try next time you visit the bakery! Awesome Joey, thanks for the tip! I’ll be sure to check it out soon.